Last weekend I was all set to enjoy a Sunday afternoon at home when we randomly popped out for a goodbye drink with our near neighbour who was in the process of moving house. After a few drinks I decided that this was a good time to attempt to cook the haggis from our Troll Date and as haggis takes rather a long time to cook, I used the time to catch up on some blog reading - if you want to see what I like to read take a look at my new Blogroll, it's at the bottom right hand side of my page. You can click on any of the links to open that particular blog, most recently updated blogs appear towards the top of the list thanks to a nifty gadget I discovered on Blogger! Whilst I was catching up with some of my favourite blogs last Sunday I discovered this post just published by Endangered Trolls alerting me to the fact that Perlen had some retired trollbeads zodiac stars in stock, including the pearl star! The zodiac stars are a bit of an obsession of mine, I adore this set of silvers with semi-precious stones, and although I have two full sets I recently decided that I wanted 4 of the pearl stars and 4 of the garnet stars to complete my collection. 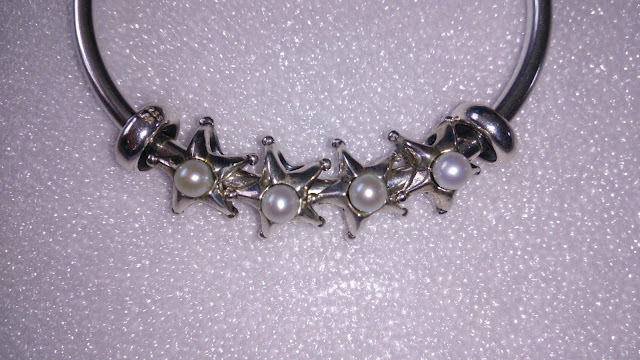 Four pearl stars sitting on a bangle - full of possibilities! 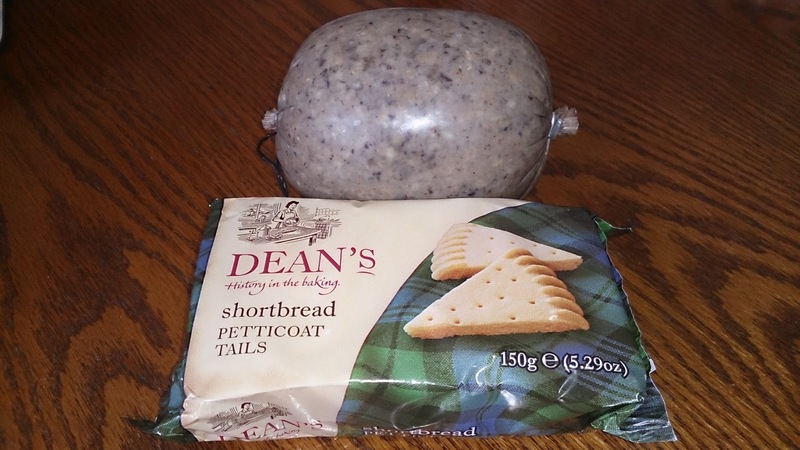 Oh I couldn't manage haggis :( Did you enjoy it? I know I've stated on my blog that I don't have any retired zodiacs as they've never done much for me but the bangle creation above is beautiful. It's actually really unusual I think. Me too! Your article was such amazing timing - so glad I've got four now ;) Thanks for your comments, am still trying out different ideas with the bangle, so versatile! I really enjoyed the haggis, I didn't think I'd be that fussed but I had a bit of a preconception of what it would taste like and what texture it would be, both of which were very wrong. I didn't realise you scooped it out (more like mince as I was expecting to have to cut/slice it more like a processed meat product), but it was really tasty, very peppery and spicy but utterly delicious - and not reflective of it's ingredients in some ways. Mind you I think this was a very nice haggis based on where it came from. Would definitely try it again! Well I think you can guess which way I'd vote! I think two are definitely worth buying if you get the chance as they make such a nice pair on a bracelet. Perlen had sold out last time I checked, but someone told me that Trollbeads Gallery have some in at the moment, nice price you just need to factor in the customs charge. Let me know if you decide to go for it and how you use them, having just read your reply on the Redbalifrog page I almost didn't post this link!